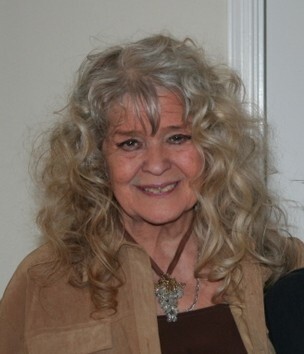 Melanoma Cancer Winner over 37 years, Jaquie was called home by our Lord April 25, 2013 due to a heart attack a few days before her 75th birthday. Obtain the eBook - Special $9.95! Jaquie loved the Lord with all her heart and welcomed the return to Him. I will be keeping this website active and will add more photos and information that has been requested as time allows. I can be reached at either of the email addresses below if you would like to contact me or the family. Thank you all for your kind words throughout the years. In the last year, Mom hasn't always felt well enough to respond to emails, but she treasured and enjoyed each of them. I first discovered cancer lumps throughout my body in August 1974. I refused the standard medical treatment of Chemotherapy, X-ray and Cobalt since they did not offer hope of survival. I did try a few recommended health cures but my cancer grew persistently until August 1975. At that time I had accepted death and was preparing to die. I had made myself a burial dress and had given my things to the children. I was thirty-seven years old, but looked as if I were old age wrinkled, gray, and degenerated. I was told that I could go to sleep and die in the night anytime. It was then that I first discovered alternative cancer therapies that saved my life. I needed thirteen glasses of fresh juice a day, prepared on a special juicer that grinds and presses, and drank immediately after each preparation. The juices were carrot, apple, green leaf and raw liver. Also included were various supplements to enrich the diet and stimulate normal body functions. A wholesome diet of fresh fruit, vegetables and whole grains was required. No meat, dairy products, salt, fat or oil was allowed. I needed coffee enemas every four hours for detoxifying and castor oil enemas every other day. These therapies do not claim to destroy cancer, but rather to restore the body by nourishing it in such a way as to bring into function all the glands and organs to full capacity so that the body’s immunity rejects the cancer. The body in its state of excellence has the power to reject disease. The therapy has cured hundreds of patients of cancer and also other illnesses such as arthritis, diabetes, heart disease, muscular dystrophy, kidney disease, multiple sclerosis, mental disease, venereal disease and many others. This could well be one of the greatest discoveries in the history of medicine and healing. I give full credit to alternative therapies for saving my life. I added several other things on my own—beet juice, wheat grass, mung bean sprouts and alfalfa sprouts to the green leaf juice. I also added steam baths and when I was strong enough, daily jogging. Perhaps that is why my cure was so incredible. It has been said, perhaps the most remarkable cancer cure in history. The medical profession and those interested in healing and abundant health have been interested in this remarkable experience. It is a penetrating story of my victory over cancer, and a tender story of my marriage and family life during that time.